A whiter smile can make you feel more confident almost instantly. But some over-the-counter whitening treatments, including teeth whitening strips, mouthwashes, and toothpastes, won’t give you the same results as professional take-home bleaching will. 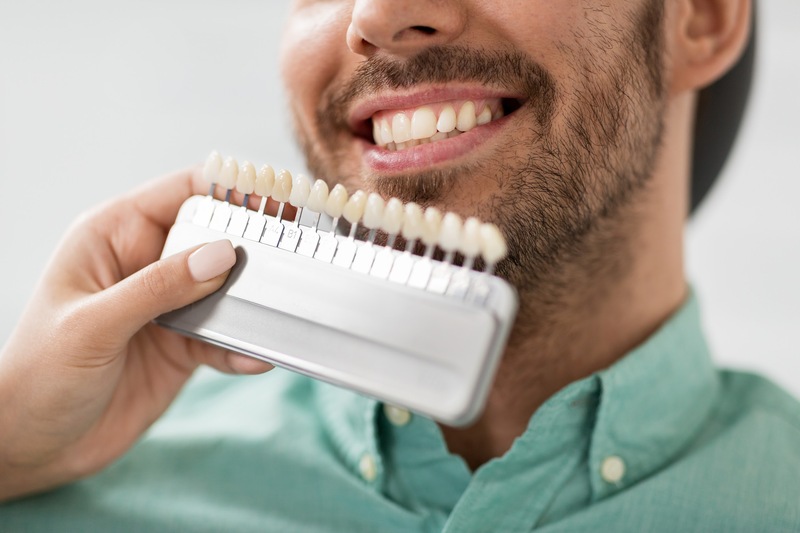 Dentists, such as those at Meridian Dental, offer take-home bleaching services so that patients can get long-lasting and great-looking results they won’t be able to stop smiling about. Still unsure about professional teeth whitening? Consider these few things that over-the-counter teeth whitening products won’t be able to accomplish like professional teeth whitening can. For more information, visit your local Wasilla dental office, Meridian Dental, serving patients in Alaska’s Mat-Su Valley. Teeth whitening strips are a popular alternative to professional teeth bleaching treatments. However, strips are meant to rest flat along teeth and sometimes don’t reach in between crevices. Because of this, individuals with misaligned or crooked teeth won’t get the same optimal results as patients with straight teeth. One advantage to professional teeth bleaching treatments is the use of custom-fitted trays. Instead of purchasing a box of generic teeth strips, the patient will receive custom vinyl trays. Dentists or a dental lab will create each tray using an impression from the patient’s teeth. The dentist will supply the patient with a teeth whitening solution to put in the trays for a few hours at a time to lighten teeth gradually. With these custom trays, the bleaching solution can get in those tight spaces and uniformly treat even misaligned teeth. Your dentist will also discuss with you the shade to which you would like to bleach your teeth and evaluate how much staining there is to treat. Each treatment is personalized to the patient for improved results. If you have tooth crowns or composite fillings, they may not bleach with over-the-counter or professional teeth whitening products. In these cases, seeking a professional treatment is usually the best course of action to match remaining teeth to the same shade as crowns, fillings, bridges, and more. Or these restorative dental products can be replaced in lighter shades to match newly bleached teeth. These personalized trays help ensure that all your teeth match the lighter shade you’re wanting. Unlike some whitening strips, trays reach beyond just the first few teeth. If teeth aren’t whitening as they should, dentists can adjust treatment for a nice even bleaching. The solution dentists use is much more concentrated than over-the-counter products. This allows you to get that even coating faster. That is, depending on how strong the solution is, how often you use it, and how stained your teeth were to begin with. But in most cases, professional whitening will take significantly less time. Many stains are noticeable on the tooth’s enamel, but other stains lie deeper on parts of the tooth closer to its roots. Consulting with a cosmetic dentist can help uncover which type of staining you have and how to solve it. Several over-the-counter treatments just treat for staining on the exterior surface of the tooth. If those treatments don’t seem to be working, it may be a sign that staining also exists in other layers. Sometimes, even after boxes and boxes of teeth whitening strips, you may not see the results you would like. Continued application of these products will wear down tooth enamel, making teeth more sensitive to extremes and more susceptible to decay, cracking, and infection. Depending on how sensitive your teeth already are, dentists can adjust the strength of the teeth bleaching solution. This will leave your teeth feeling not quite as sensitive. If you’ve ever considered whitening your teeth, there’s no time like the present to begin! You deserve a smile you’re proud to show off. While the cost of professional teeth bleaching or whitening is greater than over-the-counter products, the results are dramatically superior. Not only is treatment personalized to you and your desired goals, but those cosmetic goals can be reached sooner, last longer, and exhibit an apparent higher quality. 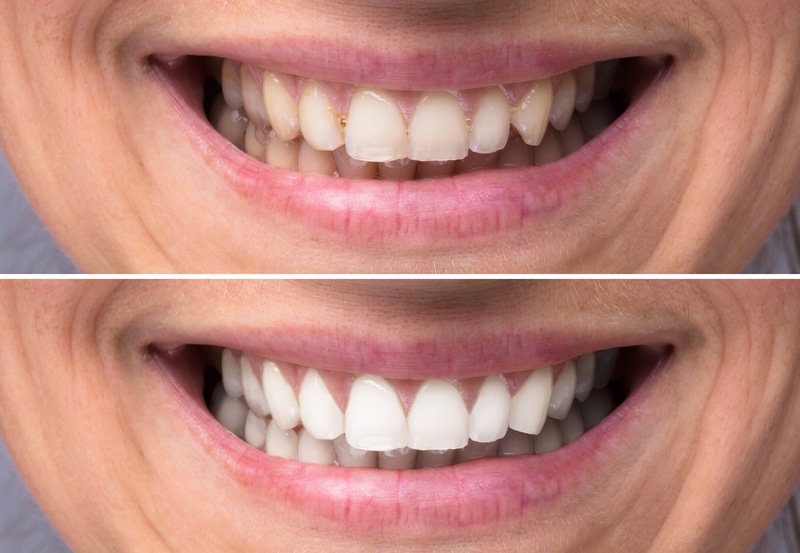 For patients in Wasilla and Palmer, AK or other surrounding areas, learn more about take-home bleaching trays and solutions available at Meridian Dental. Contact our dental office today to schedule a consultation appointment and see if professional take-home bleaching trays are right for you. Let us help you reach the goals you have for your smile.